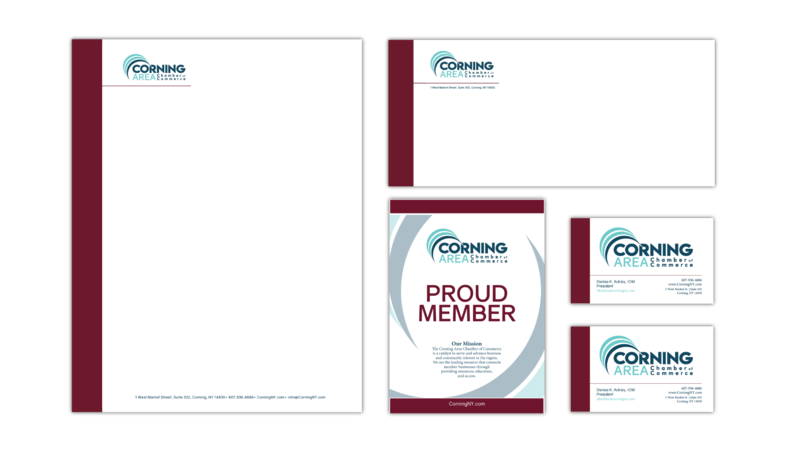 Because of their dedication to community, entrepreneurship, and development, we are proud members of the Corning Area Chamber of Commerce. We’re also proud to deliver the Chamber’s brand for businesses all across the region. 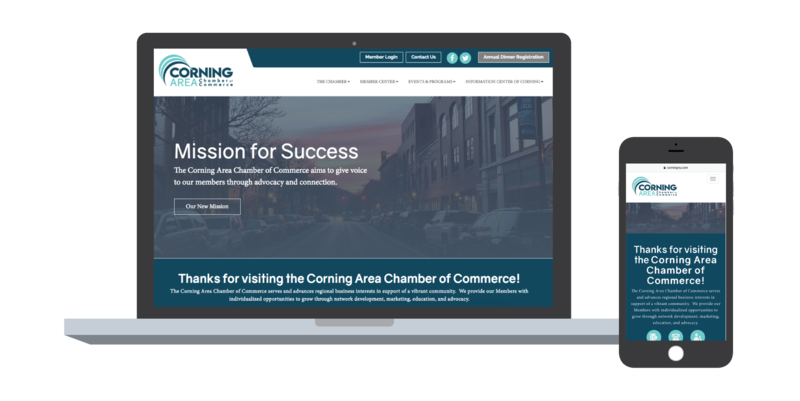 The Corning Area Chamber of Commerce provides a wide range of professional services for area businesses, including networking opportunities, training and development, marketing, and special events. While their staff is always on brand, their own marketing efforts fell short. We stepped in to develop a new logo, website, and overall brand. Carrying the brand across a variety of digital platforms was essential. The Chamber’s new website features an integral mix of event updates, member news, resources, and general information. Social media platforms are consistently branded, directing traffic back to the website whenever possible. We re-branded the organization and re-imagined the way businesses interact with the Chamber online. The result is greater engagement, more followers, and consistent growth in monthly website visits.